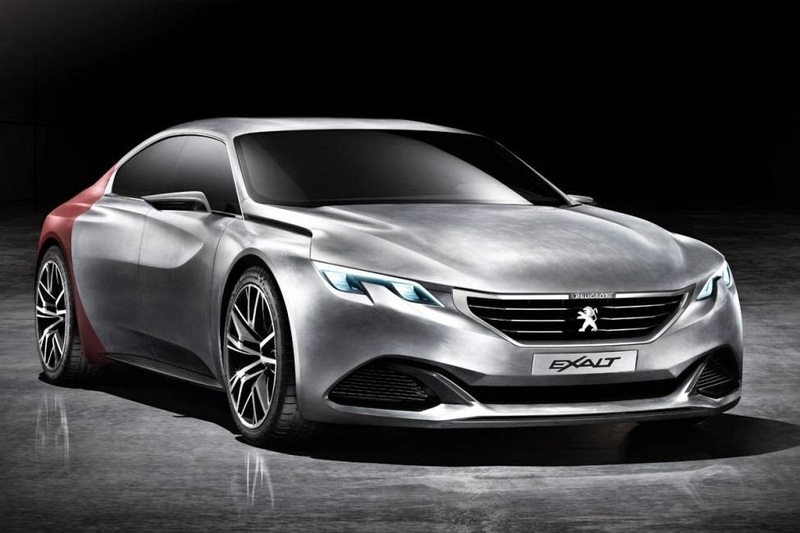 Peugeot has released full details concerning the Exalt concept after a partial accidental reveal earlier this week. 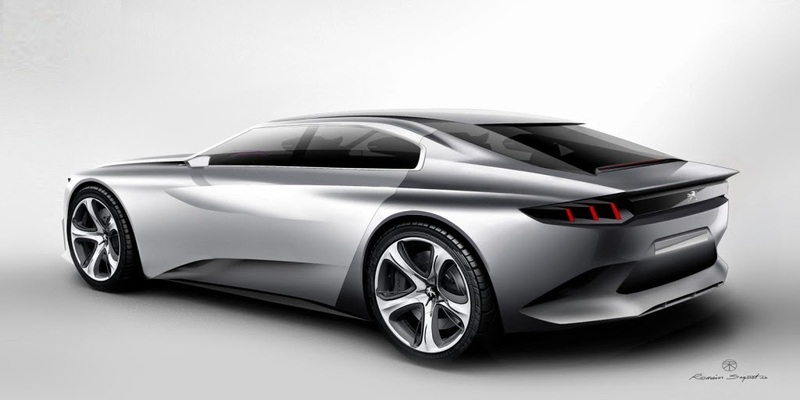 The Exalt concept represents Peugeot's "vision of the saloon" and pays homage to the 20s and 30s French cars with its exposed steel body hand-beaten into shape. 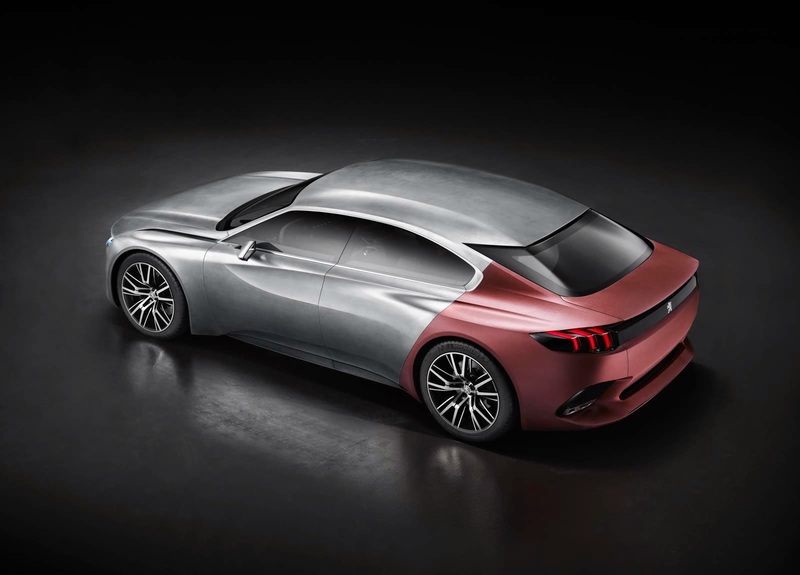 Some of the body parts have been covered in "Shark Skin", an efficient textile which Peugeot says improves the vehicle's aerodynamic performance and reduces fuel consumption. Tipping the scales at 1,700 kg (3,748 lbs), the concept has an overall length of 4.7 meters and is just 1.31 meters tall but even so the cabin has remained spacious. 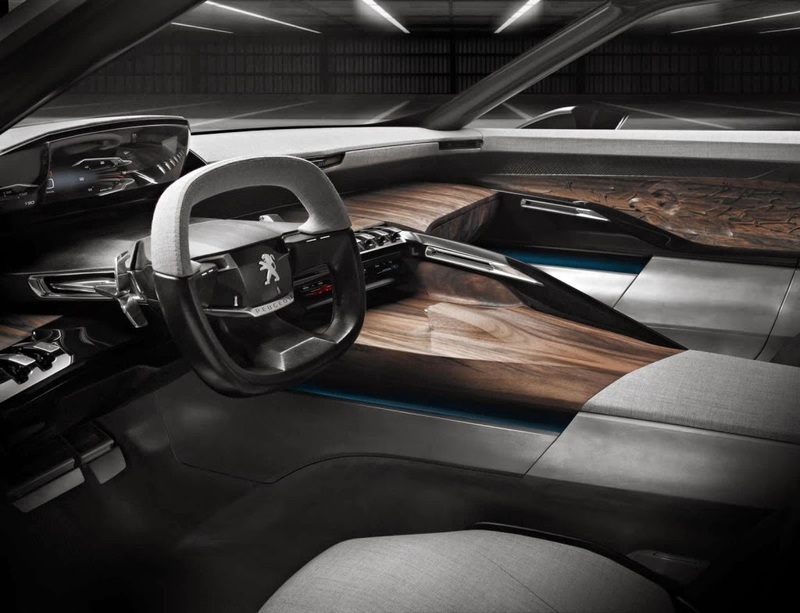 Speaking of the interior, it boasts a leather-wrapped, wood-trimmed steering wheel along with a digital instrument cluster featuring two folding touchscreen displays. The upper one is for the infotainment functions while the lower display is for the Pure Blue air purification system and climate control. 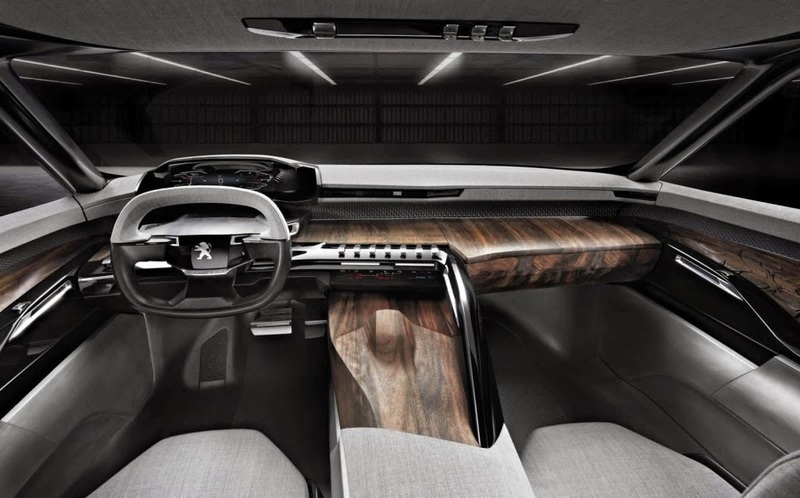 Peugeot has installed bucket seats manufactured from a wool-based fabric and leather while black ebony wood and carbon fiber were used for a special look. 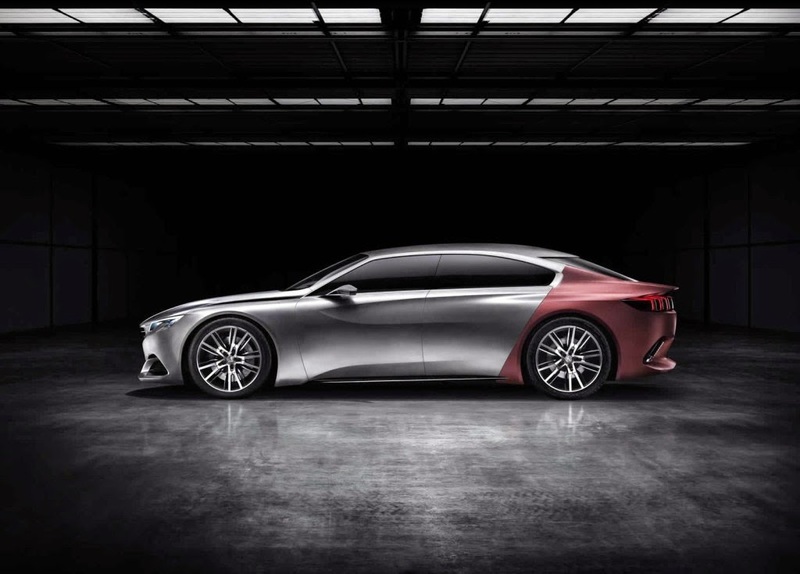 At its heart is the 4-cylinder, 1.6-liter THP turbocharged gasoline with 270 bhp (201 kW) and 330 Nm (243 lb-ft) engine taken from the RCZ R but in the Exalt it works together with a rear axle-mounted 50 kW electric motor to provide a combined output of 340 bhp (253 kW) sent to the wheels through a six-speed automatic transmission. 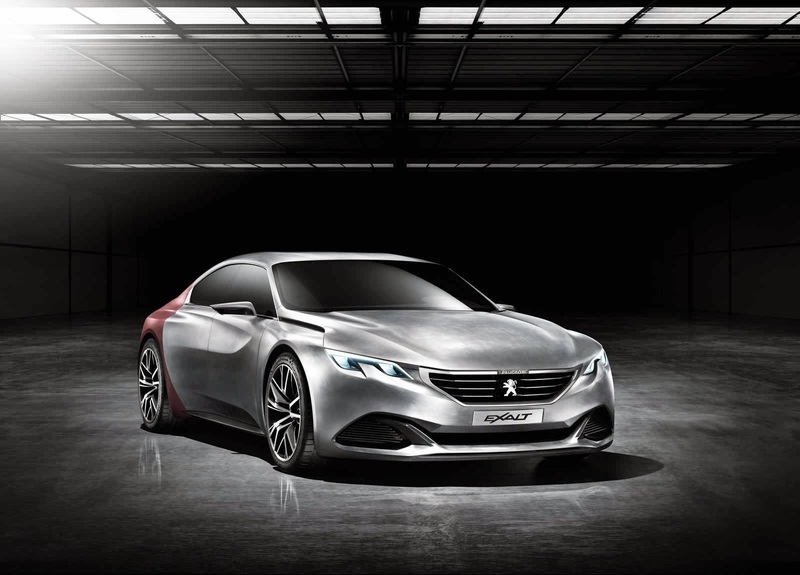 The Peugeot Exalt concept will be shown to the public starting April 20 at the Beijing Motor Show in China.